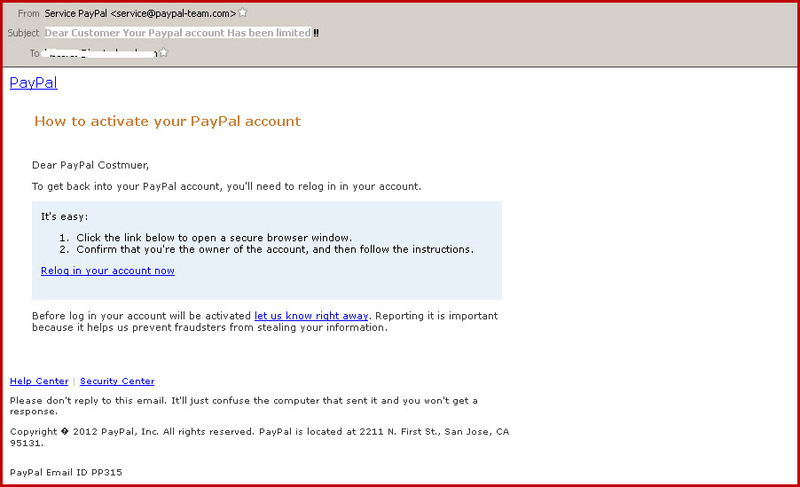 The global payments and money transfers service paypal.com has become victim of yet another email phishing scam. The email purporting to come from Paypal, tells you that your PayPal account has become limited and to activate your PayPal account again by clicking the link provided in email. 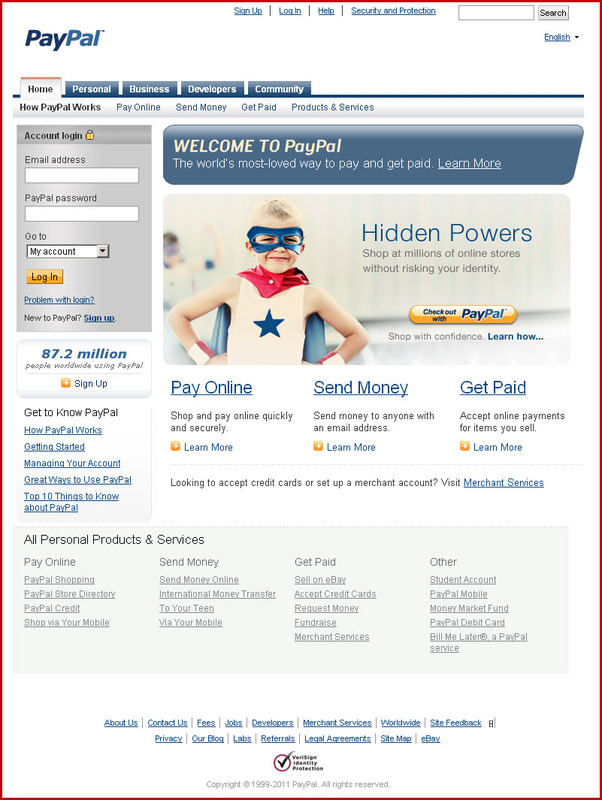 Relogin link ‘http://http://www.paypai.com-service.confirm.cgi-bin.w2bscr-cmd.login.submit.new-load.5885d80a13c0db1f8e263663d3faee8dcbcd55a50598f.agled.com.ar/paypai-login/service/Restart.php’ taking us to below fake webpage which appear almost identical to the official site. Also, note that paypal.com has been deliberately misspelled as paypai.com in the URL, making it look legitimate at first glance if you don’t notice the “l” has become an “i”. As always, type the regular PayPal URL into address bar yourself instead of clicking the link in email, because you could be providing your account information / personal information to internet criminals. Consider investing in an email filtering solution, which will stop scams and spam, malware and phishing emails entering your system at all, or web filtering services for screening malicious links for you so you wont have to worry so much, or ask your workplace to get one in place. This is not a new scam, it has been doing the rounds for some time, in different varieties for years. For more information, see our earlier article “PayPal Email Scams – How to recognize fake PayPal e-mails.” This gives more information about what to do if you think you have been scammed, or how to avoid being hoodwinked. But more importantly, learn how to spot the fakes and keep your information safe. Please Tweet this if you want to help warn people about the PayPal Email Scam. « Why you should always be vigilant, and show common sense online. rounds – link to fraudulent copycat site, PayPai.com | Omniquad Security Blog <Loved it! Hi Serena, thanks, it is nice to hear positive feedback. Glad you liked it. It’s actually very complicated in this active life to listen news on Television, thus I simply use world wide web for that purpose, and take the newest information. That is a good point. Also,I think TV cant cover everything which is useful information for absolutely everybody, making the web more relevant to some.